@cabezon001 I am re-activating that this deal works as described. Just type the promo code into the promotion code box and click apply to enjoy the promotion. Some exclusions may apply. 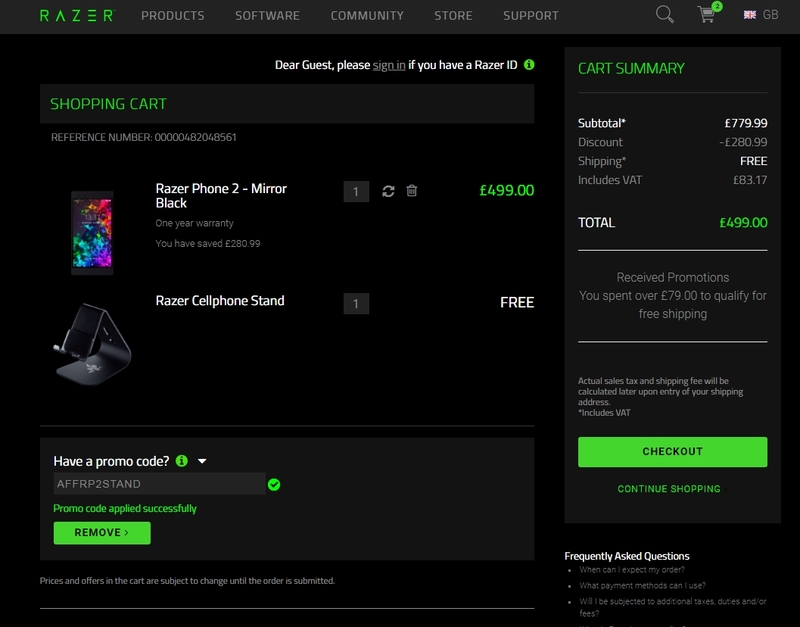 Robbie Byrd I have tested this coupon code and works perfectly. 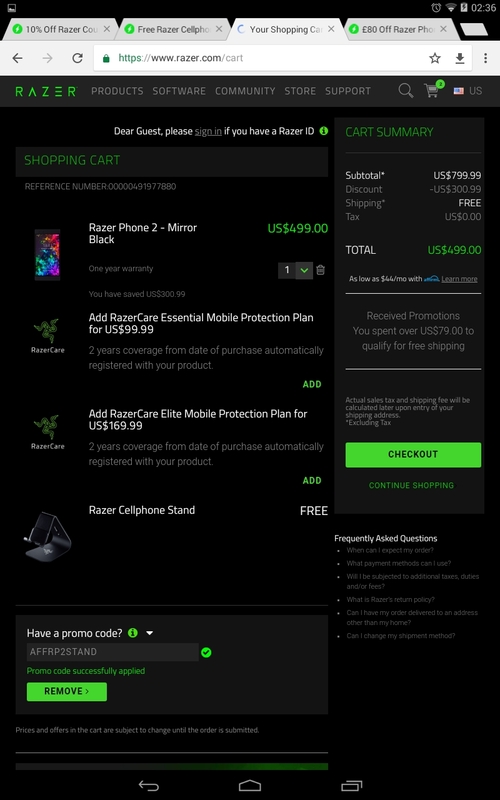 Get free Razer cellphone stand with Razer phone 2 with the coupon code.